We’re thrilled to announce the launch of our next generation personal video capture product, Kaltura Personal Capture. 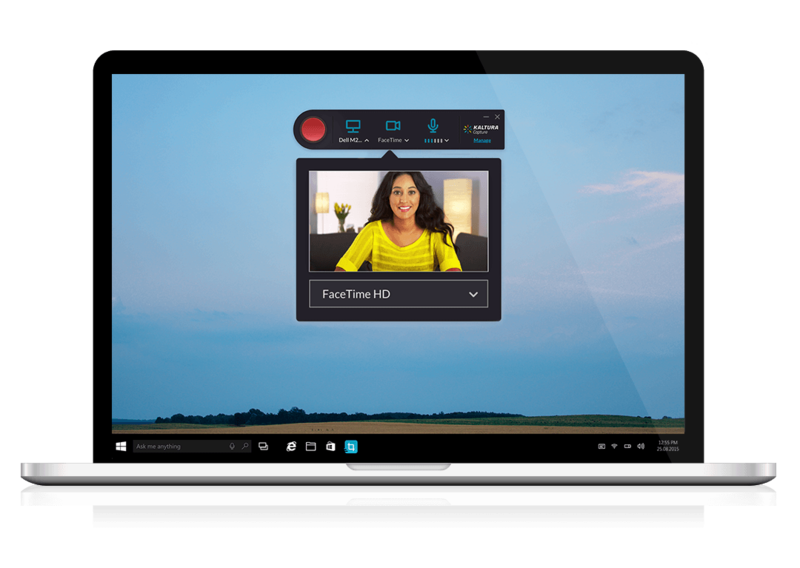 The intuitive design of this capture solution makes it easier than ever before to create videos from the desktop. The new product lays the groundwork for even more ambitious and powerful capture features in the future. Kaltura Personal Capture encourages more content creation and makes it easier than ever before. It seamlessly uploads new videos into the user’s My Media folder and videos are made available in an organization’s Learning and Content Management Systems as well as the Kaltura MediaSpace enterprise video portal, making it easy for employees, students, faculty, and other users to create professional video with multiple feeds, including slides. Anyone in the organization can make engaging videos, without specialized equipment, in just minutes.